Zift aligns the systems between manufacturers and distributors to speed and sustain growth. Today’s manufacturers are under intense pressure to streamline operations, reduce costs and improve operational visibility. 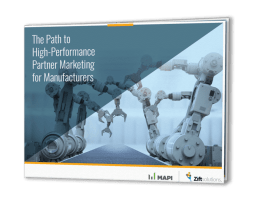 Top that with either a disengaged distributor network – or one clamoring for digital marketing capabilities – plus an inability to track leads or measure ROI – and it’s no wonder manufacturers are missing opportunities to drive growth. All your data was visible and actionable from one dashboard? Distributors could work within the systems they already know? Multi-tactic digital marketing was made simple? You could see where leads are going just as clearly as you can track your parts across the supply chain? You’ve connected your factories: Focused on eliminating data silos, increased visibility, integrated operations. 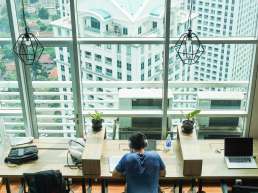 Now, apply the same principles to your distributor network. You may be a manufacturer first, marketer second. But your distributors are top of mind and essential to your business strategy. 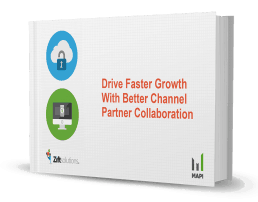 Zift’s channel experts, best practices and powerful tech come together under Channel as a Service to align the systems and processes between manufacturers and distributors. With Zift, you get real-time visibility and collaborative marketing and sales tools within a powerful consolidated control center to empower you and your distributors do less while earning more.